England Under-20s head coach Steve Bates was full of praise for his side as they got their Six Nations campaign back on track with a 31-19 victory over reigning World Under-20s champions France at Sandy Park. Following last week’s loss to Ireland in their seasonal opener over in Cork, a dominant display from the England pack helped to lay the foundations for this five-try success. 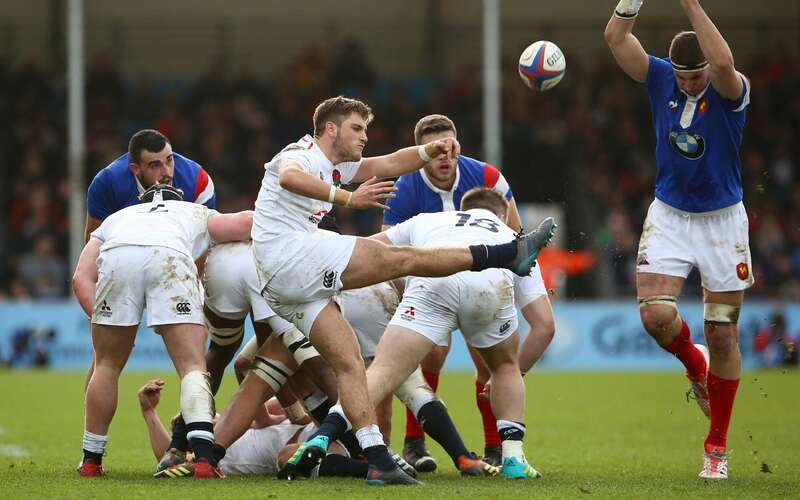 England, who included Exeter Chiefs trio Sam Maunder, Marcus Street and Rus Tuima in their match-day squad, led 24-12 at the break with tries from Ollie Sleightholme, Tom Willis, Olly Adkins, as well as a penalty try and Marcus Smith’s conversions. France replied through scores from No.8 Jordan Joseph and centre Julien Delbouis, as well as a conversion from fly-half Louis Carbonel. However, a second half penalty try extended England's lead to 19 points. To their credit, France kept going throughout and their efforts were rewarded when Welsh referee Craig Evans awarded them a penalty try following a cynical foul from Saracens lock Joel Kpoku. And the visitors thought they had secured both a try scoring and a losing bonus point when they crossed the line in the final play of the match through winger Vincent Pinto, but the try was ruled out for an obstruction in the build-up and the game finished 31-19 in England's favour. Post-game, a delighted Bates was quick to praise his side’s showing in Devon. He said: “It was a performance that reflected the circumstances we were in. We were desperately keen to win, we’ve probably got more to our game than you probably saw today but I think the win was the important thing and it gets us back on track.